This pretty much went the way I, and probably just about everyone else, expected it to go. 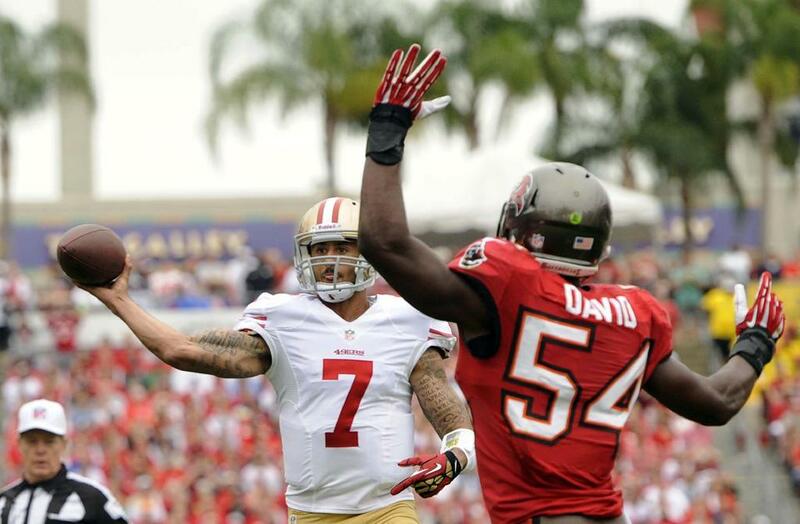 The 49ers are a better team than the Buccaneers. There’s no doubt about that. Colin Kaepernick is a better quarterback than Mike Glennon. There’s no doubt about that. Tampa Bay couldn’t even muster 200 yards of total offense. 33-14 was the final in the home finale. The “Fire Schiano” folks out there got some added ammunition late in the fourth quarter. The Bucs were down by 9. They tried some chicanery on the ensuing kickoff, only to see Eric Page fumble, and one of the ‘Niners pick up the ball and take it in for a gift-wrapped touchdown. Why on earth are you trying something like that in that situation? Coming back from a nine-point deficit in less than five minutes is not impossible – maybe unlikely, but still there was at least a little hope. The last two games are on the road: against St. Louis and New Orleans. 4-10 could easily become 4-12. I hope these will be the final two games Schiano is on the sidelines. Bucs Now 4-11; is the End Finally Near for Schiano?